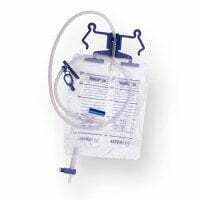 Catheter bags collect urine drawn through a bladder catheter and are available in different sizes and tube lengths, depending on requirement. In our online shop, you will purchase the proper urine drainage system for use in the hospital, in home elderly care or home health care. 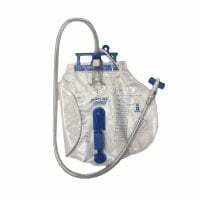 The catheter bag serves to collect urine that is delivered from a bladder catheter. 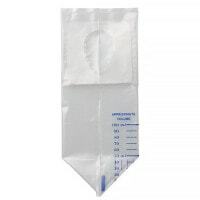 Catheter bags are often equipped with sample taking points, so that the collected urine can be examined for infections. 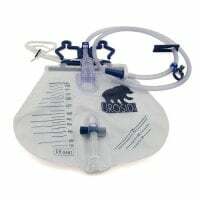 In order to prevent the urine from backing up, catheter bags are also equipped with a base discharge valve, which regularly drains the the urine. Furthermore, modern urine drainage systems also include a special, anti-reflex valve. 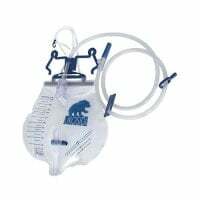 The drip chambers (available in many models) ensure that the bladder catheter and the catheter bag remain as a separated system, so as to prevent consequential infections. 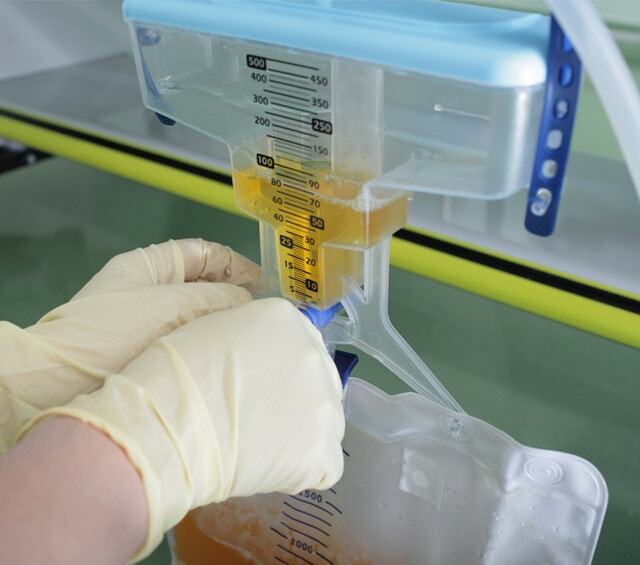 For monitoring the collected urine amount, most catheter bags are partially or completely transparent and include graduation marks. 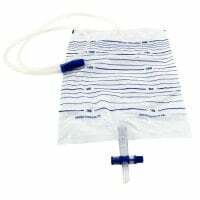 Depending on need, catheter bags are available with varying volumes and hose lengths. Catheter bags not only come into use in hospitals, but also in home healthcare, especially when caring for incontinent patients. 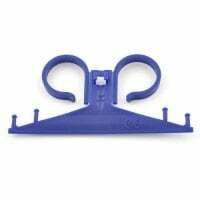 Independent of the type of indwelling cathether set up, catheter bags are available as sterile or non-sterile. Bed bags are standard, when using indwelling catheters for immobile patients. 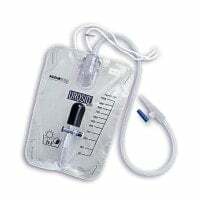 As opposed to leg bags, bed bags are usually equipped with a drip chamber and designed to hold larger amounts of urine; therefore allowing these catheter bags to be used for up to 14 days. The leg bag is predominantly for treatment of mobile patients, as it fastens to the body, thus making it easy to walk with. As a rule, leg bags come into use with an indwelling catheter, and seldom also with a urinal condom. Leg bags are either changed daily, or once every few days. These catheter bags can be fastened onto the patients' hips, using a special fastening strap, and provide the leg bag with a high standard of patient mobility. 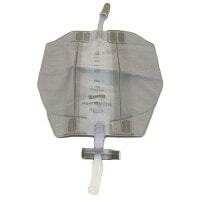 Praxisdienst offers you a large selection of catheter bags from Asid Bonz, at affordable prices. 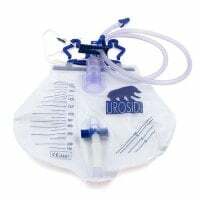 You will not only find leg bags that allow patients with wide span mobility, but also Urosid urine drainage systems, with and without mounts, for treating bed ridden patients. 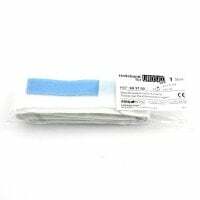 In our online shop, you may purchase catheter bags and the compatible catheters and disinfectants, at reasonable prices.